Ask the kids about MarioKart! 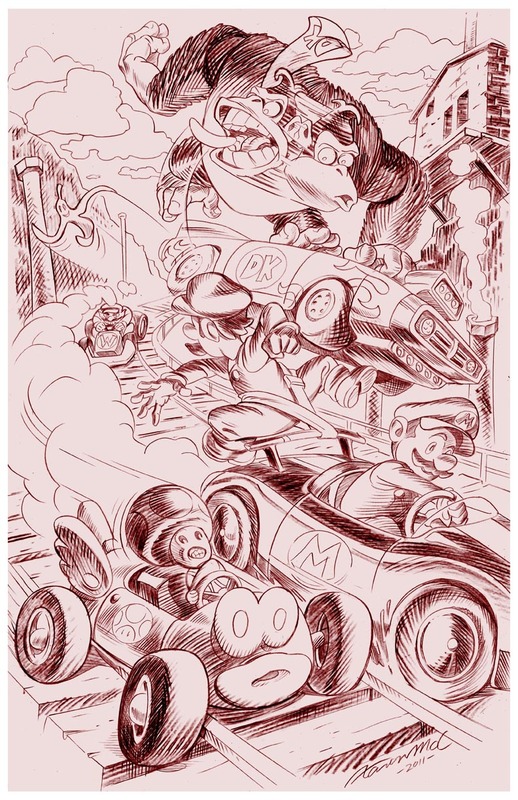 Racing into your week with a high speed pencil rendering of Mario and pals for the Periscope Tumblr sketch challenge. I enlisted my son to help me with the reference on this piece. We did some father/son bonding as we Googled the various race track worlds. I ended up using Wario’s Gold Mine, a most treacherous track indeed. Check that Tumblr link for more MarioKart art in the coming week. And by the way, you can fill your Shopping Kart with this MarioKart Original Art at the Periscope Etsy Store .